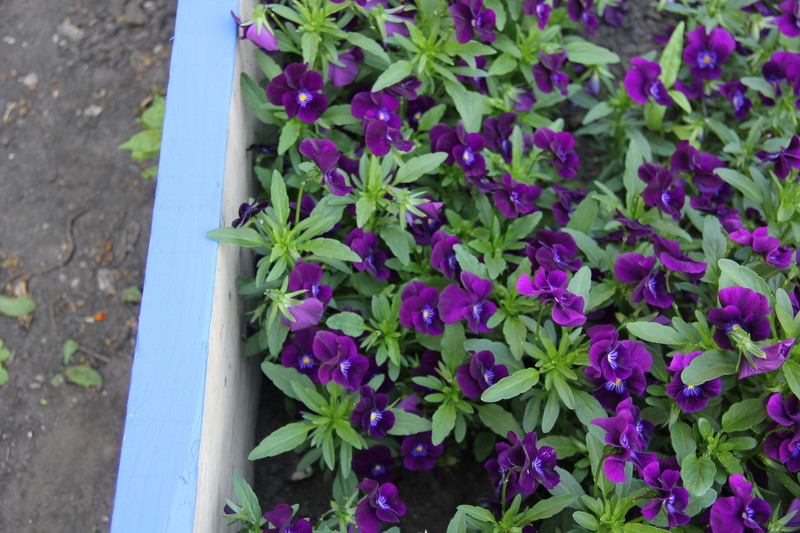 Violas in the blue bed. 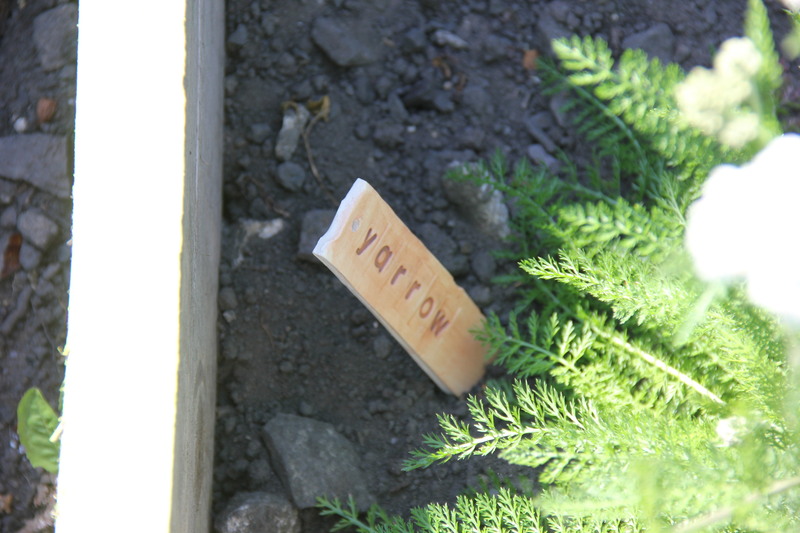 A kind volunteer made us some new plant labels. 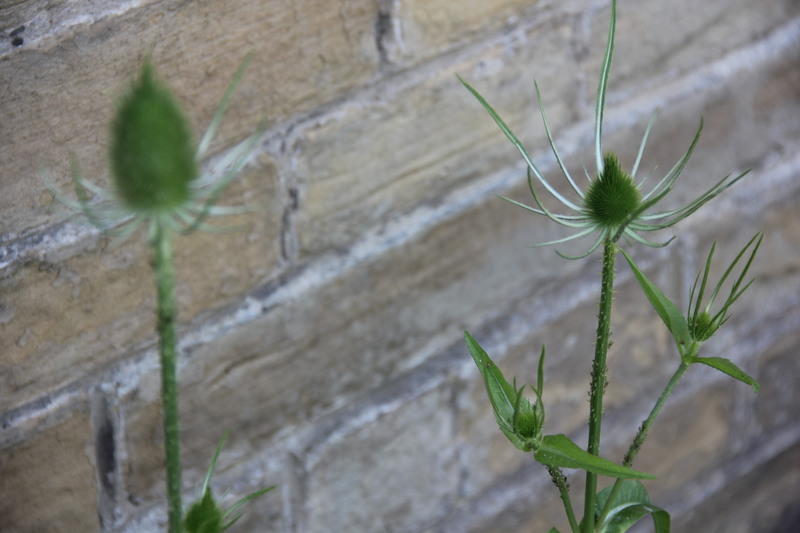 Teasel, one of our collection of plants related to the textile trade generally. They were used for carding wool. 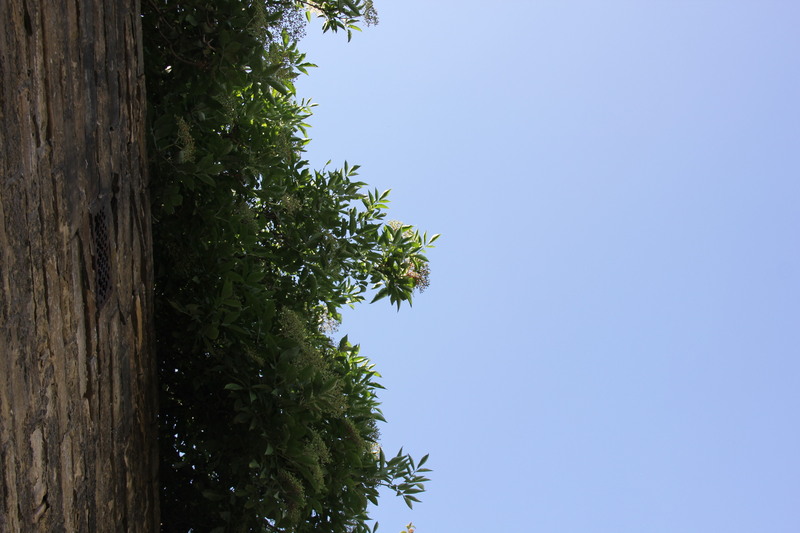 Looking up at the elder, soon to be a wonderful crop of berries for the birds, and for our dye pot. We are having some wonderful weather in Yorkshire and it is a busy time in the dye garden. 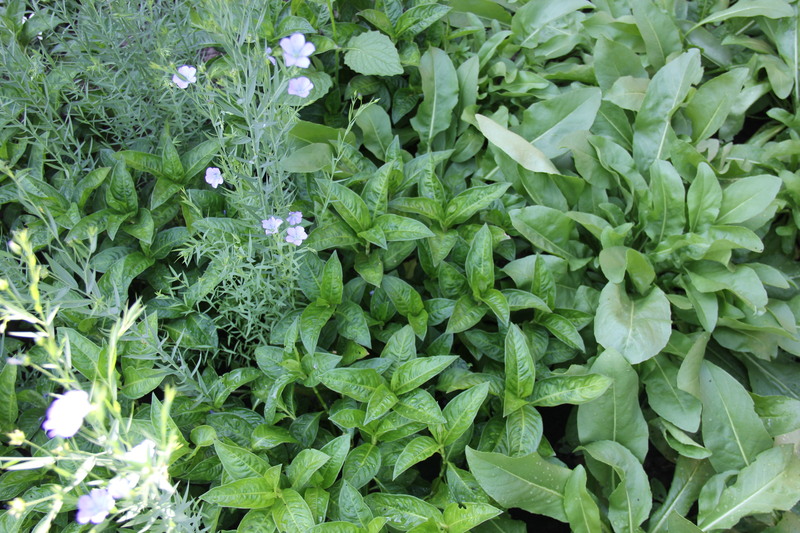 Watering and harvesting flowers is a daily activity and we are looking forward to starting some on site dyeing very soon. If you are interested in getting involved with the project please get in touch with claire@hivebradford.org.uk.